Transform your home with the inviting elegance of the Allouette Ash Sofa from Signature Design by Ashley Furniture. 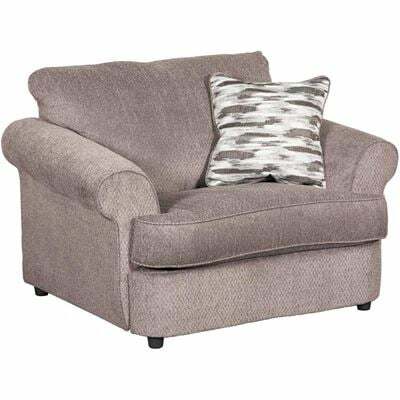 This sofa features an inviting silhouette with rolled arms, plush seat and back cushions, and a unique, shaped front. 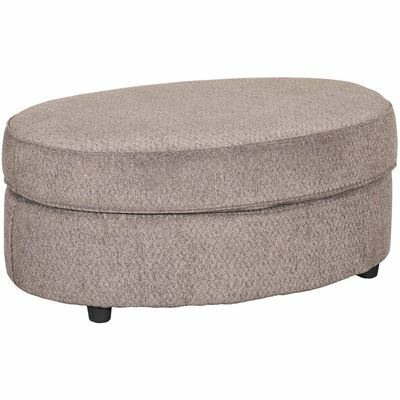 The plush, ash gray upholstery is both on-trend and sure to coordinate with a variety of decor. Accent pillows in both patterned gray and solid gray shot through with glimmering metallic silver complete the look. Transform your home with the inviting elegance of the Allouette Ash Sofa from Signature Design by Ashley Furniture. Allouette Ash Sofa from Signature Design by Ashley Furniture. Couch is covered in an ash colored 100% polyester cover.